Please note the previous school year alternative transportation requests will not be carried over and will not be incorporated into the new year’s bus schedule.Please submit all transportation requests in writing by August 25, 2017. Requests received after this date will not be honored the first week of school. Note: Only ONE (1) transportation change will be allowed after August 25, 2017 for the entire school year. **Daily Changes will not be allowed** This is for your child’s safety and to avoid the possibility of “losing” a child. Multiple changes cause confusion for the child (this is particularly true for K-4 Elementary School Students), the bus driver and office staff. 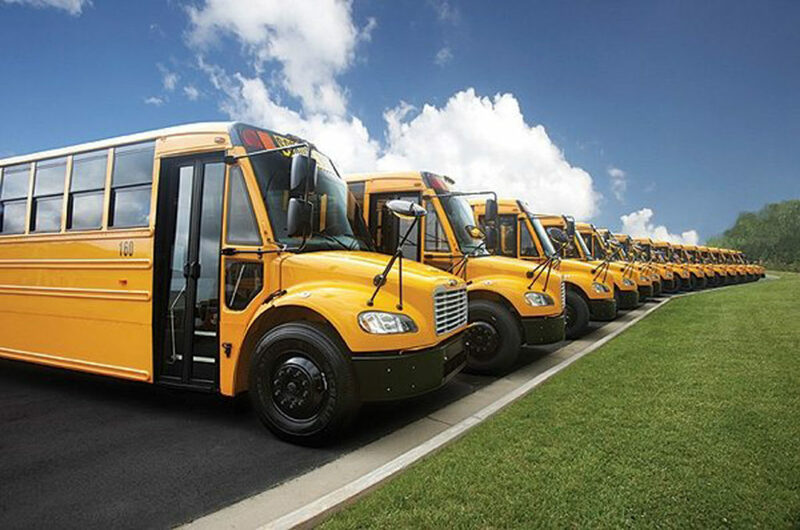 The irregular schedule with day to day changes greatly increases the chances that a student may board the wrong bus and possibly be dropped off at a wrong stop. This will be strictly enforced. If an emergency arises, it is up to you to make outside arrangements for someone to be at your child’s regular stop or they must be picked up at Parent Pick-Up. All Parent Pick-Up requests must be received by 2:00 pm in the GES Main Office- No additions after 2:00 pm. It will be assumed that students will be picked up and dropped off at home or the assigned stop every day unless childcare information has been provided in written form to the appropriate school.If no one is present at the bus stop to receive K-2 students, the student(s) will remain on the bus and be returned to the Elementary School at the end of the bus run. The parent/guardian will be notified and be responsible for arranging the student’s pick up from the school. If there is no student present at any designated bus stop location, the bus is not required to stop regardless of weather conditions. Please have your child at their designated stop 5 minutes prior to their scheduled pick up time. Students needing to be picked up from school will need permission in writing indicating the date and the name of the person who will be picking up the child. This should be delivered to the main office prior to 2:00 in person, via email, or by fax. Students should be picked up at the pick up entrance from 3:12 to 3:20 pm. Parents arriving later than 3:20 pm should report to the office to retrieve their child. Please contact the Transportation Department at 532-3325 ext. 6600. The Transportation Department and the Elementary, Middle and High School Offices are open all summer long. Please do not wait until the first day of school to inform us of a change to your child’s transportation needs.Lastly, your support is invaluable to us and without it our team would not be whole. In return, please know we will go that extra mile to keep your child in the most proficient, professional and caring hands in the world.